Wrap up with this beautiful chunky infinity cowl and be the envy of your friends. The innovative basket weave design will keep you warm. When the wind picks up, pull the edge of the hood up to protect your ears. 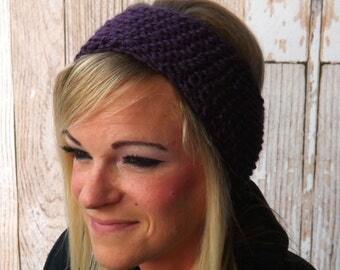 You'll love the versatility of this cowl - wear it folded, wear it loose or as a hood. You'll stay warm and cozy all winter with this intricate cowl. This cowl measures at 34.5 inches around and 11 inches tall. Wash cold on gentle cycle. Tumble Dry low.